Tracye McQuirter, MPH, was named a national food hero changing the way America eats for the better by Vegetarian Times. She’s the author of the new book Ageless Vegan and the national best-seller By Any Greens Necessary, which established her as one of the most influential vegans in the country. 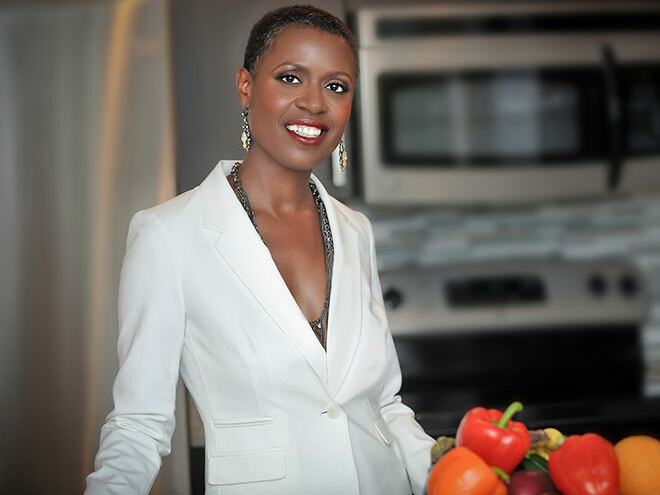 As a writer, speaker, public health nutritionist and 30-year vegan, Tracye has been teaching people how and why to live a healthy vegan lifestyle for the past 25 years. She directed the nation’s first federally funded vegan nutrition program and was a nutrition advisor for the Black Women’s Health Imperative. Tracye recently created the first-of-its-kind, free African-American Vegan Starter Guide in partnership with Farm Sanctuary and previously co-created one of the earliest vegan websites 20 years ago, which was also the first by and for African-American vegans. Her work has appeared in The New York Times, The Washington Post, USA Today, Essence, Bon Appetit, Ebony, VegNews, The Huffington Post, and many more. Tracye is a graduate of Sidwell Friends School, Amherst College and New York University, where she received a master’s degree in public health nutrition.